Whether you’re a first-time homebuyer or an old pro investor, you might have a rosy outlook on your new dream home. One of the best pieces of advice you can ever take is get a home inspection. Even if you think you have found your dream home, it’s a home inspector’s professional responsibility to let you know if your home is not right. During your home search you can be charmed by the amazing front yard, adorable breakfast nook, and spacious bedrooms. What you won’t notice is cracks in the foundation or faulty wiring. Your real estate agent will be able to recommend reliable inspectors who can check the walls, roof, nooks, and crannies. A certified home inspector is a professional who will conduct an inspection of the general condition of the home. The home may look move in ready, but the inspector can check electrical wiring, plumbing, roofing, insulation, as well as structural features. It may cost a few hundred dollars but it is a small price to pay to ensure your home is worth the investment. Once the inspection is completed, the home inspector will provide the buyer with a report suggesting any improvements or repairs deemed necessary to bring the home up to current standards. Sometimes this can reveal problems with the home that may be pricey to fix. This can and should be used as a tool in purchasing negotiations with the seller. As the buyer, you may be able to negotiate the price dependent on what the inspector has found. 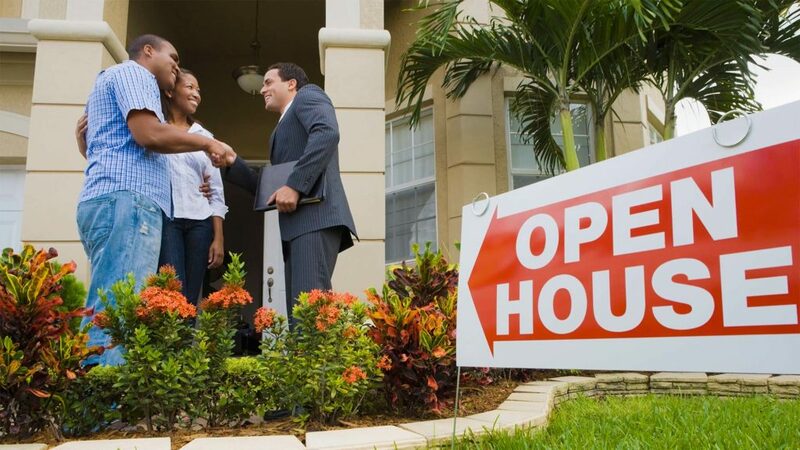 Your real estate agent can guide you in the best way to do this. You could negotiate a credit with the sellers, have the seller pay for repairs before the closing, purchase the home as is, or walk away from the purchase if the issues seem too large. If possible, try to attend your home inspection. This is a valuable educational opportunity. Never pass up the chance to see your home through the eyes of an expert. It can be a lengthy process depending on the size and age of your house, anywhere from 2 to 5 hours. But it is always good for you to know exactly what you are getting in to when making such a huge investment. A seller of a home may also request a home inspection before the home is put on the market. It may assist the seller in setting a price, correct any issues with the home before it is put on the market, or just have a pre-inspection report available for buyers to show that there is nothing to hide. Lenders generally require an inspection before purchase, so don’t be surprised if it is on the list of things you need to do. The real estate market has changed dramatically over the last few years. While conditions vary from city to city, the overall trend has been one of rising prices and limited inventory. So home buyers entering the market in 2018 will have some homework to do. With that in mind, here are five tips for house hunting in 2018. 1. Be realistic with your expectations and your wishlist. If you’re planning to buy a home in 2018, you probably already have a wishlist with property features, location, number of rooms, etc. which is great and makes it easier to start looking! You should have a clear idea about what you want and need from a home. At the same time, you’ll want to balance those expectations with the realities of the market. Unfortunately, the current reality is that inventory is limited in most cities, as we move into 2018. You may not have as many houses to choose from that fit your criteria. Some people may see this as a plus–you don’t have hundreds of homes to sift through! Others may feel like they can’t find a home that perfectly suits them. So it is important to know what you HAVE to have, and what you can give up at this time. A “balanced” real estate market has somewhere around five to six months worth of supply. At the beginning of 2018, most housing markets across the country had less than a three-month supply of homes for sale. These markets tend to favor the seller over the buyer, in terms of negotiating leverage. It also makes things competitive for buyers. So you’ll want to be flexible and open-minded regarding the home you want to purchase. 2. Validate the asking price. If real estate asking prices were set in stone, they would be called “selling prices.” Period. But that’s not always how it works. As a house hunter and buyer, you’ll want to evaluate the seller’s asking price by comparing to recent sales in the area. This is what real estate agents refer to as “comps,” and it’s another key service agents provide to their clients. Your real estate agent will look at similar houses in the area and what price they sold for. They will compare upgrades, amenities, etc. to figure out what a reasonable price is for the home. 3. Make a strong offer, and be swift about it. In a fast-moving real estate market with limited inventory, timing is everything. In many cases, buyers are lining up for desirable properties. So it’s important to keep up with the market, and to move swiftly with a strong offer when the right house comes along. Try to get your offer in as quickly as possible (without sacrificing your due diligence), and make sure your offer is supported by comparable sales data. This is another aspect of the house hunting process where an agent can help. In order to be able to make an offer quickly, you will want to be sure you are pre-qualified or pre-approved so you can be ready to go if your offer is accepted. 4. Get your financing squared away. Are you planning to pay cash for a house? If so, the sellers will want to see bank statements that prove you have the funds. Using a mortgage loan? As stated before, the sellers will probably want to see a pre-approval or pre-qualification letter from a mortgage lender. These are realities of the current real estate market. It’s wise to have your financing arranged before you begin house hunting. 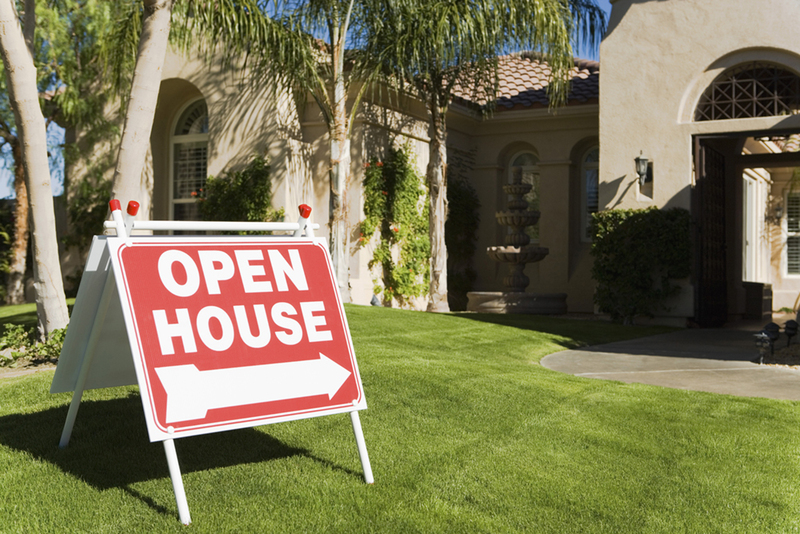 It will make sellers more inclined to accept your offer. It also helps you narrow your home search to coincide with your budget — and that can be a real timesaver. You don’t want to be looking at houses that are out of your budget. That will waste your time and perhaps make you miss out on a home that you can afford and works for you. 5. Talk to an agent today! This past week was CES held here in Las Vegas and we got to see some really cool gadgets! There are hundreds of things that were displayed, so here is the best of the best. The Japanese Smart Fabric firm Xenoma is designing ways to integrate its technology in our lives, specifically for medical scenarios. They showed a set of smart pajamas that can be worn by patients in a hospital, with specific focus on dementia patients. 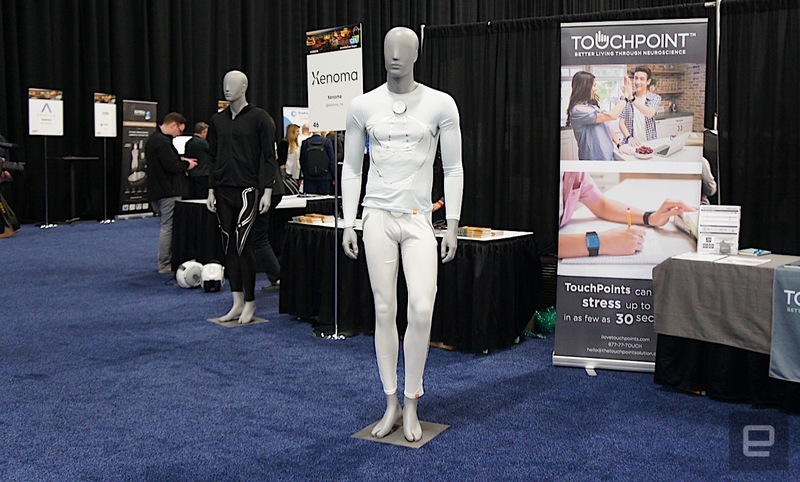 Embedded in both the shirt and pants are cloth sensors that pick up specific inputs, such as motion, so professionals know when the wearer is moving. The shirt also is designed to monitor vital signs such as breathing or ECG. What’s even cooler? It’s machine washable! This is building the gym of the future! Using the HTC Vive, motion-tracking controllers and specially designed workout equipment, Black Box turns exercise into a video game. They are planning to set up a gym in San Francisco this year. As someone who life guarded for ten years and has had way too much sun exposure, this little device excites me. The smaller a device is, the more wearable it becomes and that’s one of the reasons that L’Oreal’s UV Sense is so intriguing. It’s a UV sensor no bigger than a thumbnail that tells you, via your smartphone, how much sun exposure you’ve received each day. Not only this is an incredible leap in helping prevent skin cancer, it’s also a key step on a micro-wearable computing journey that could revolutionize the future. Toyota saw mobility and decided that in addition to getting people around, it’s important to transport their goods and their small business. 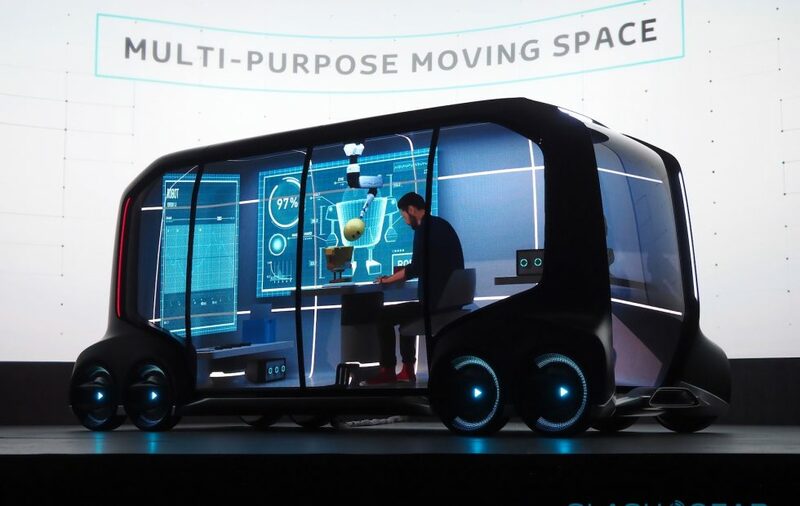 The e-Palette is a vehicle that resembles a train car, but more than that, it’s an opportunity for businesses big and small to take retail and delivery to the next level. It can be a taxi, food truck, delivery truck, office, it’s a blank slate on wheels. Alexa was in almost every product at CES. It is clear home assistants are on the rise! 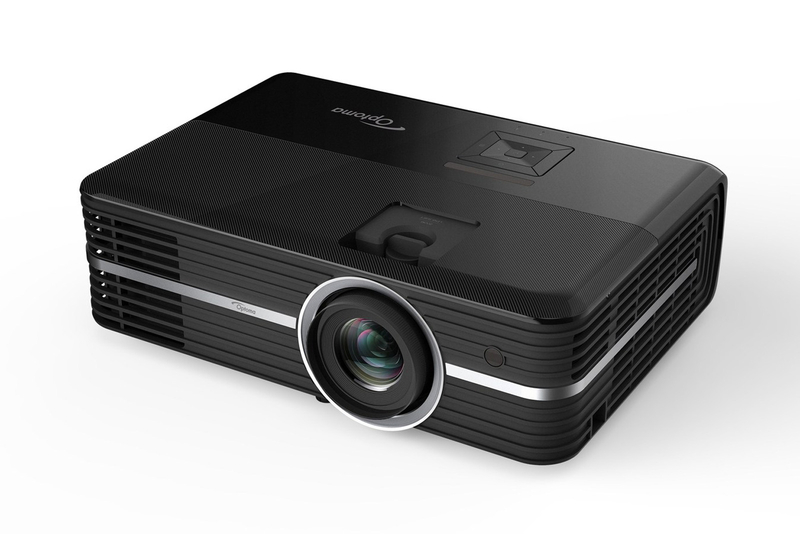 The Optoma HD51A projector combines quality and convenience, courtesy of its new link to Alexa voice commands, with a price that will fit many home-theater budgets. This seems to be the favorite home product from CES. The Lenovo Smart Display is one of the first smart displays in the Google ecosystem and it’s definitely the best. 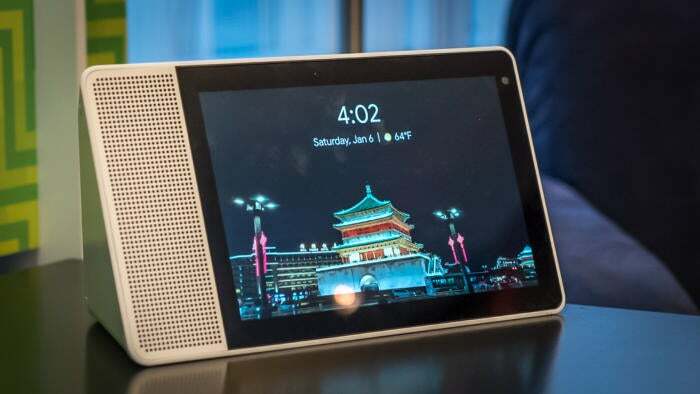 Its stellar Google Assistant implementation combined with great design makes this everything we wish the Echo Show was, and more. 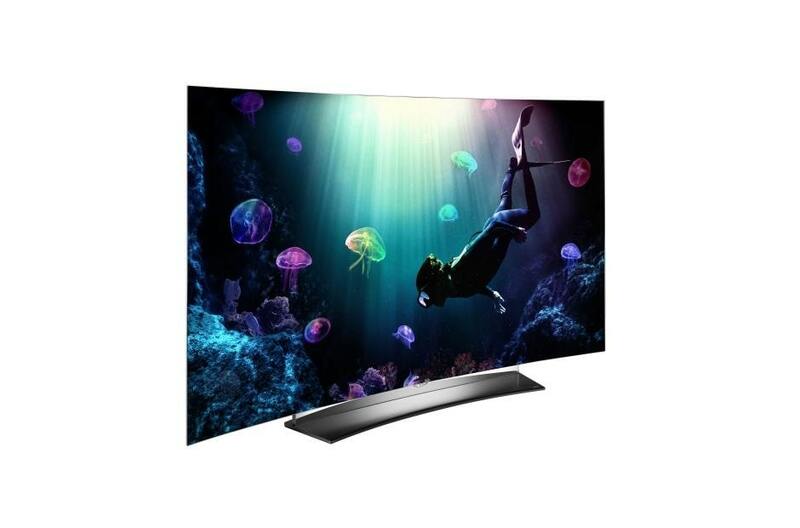 LG’s next OLED TVs are even smarter and better looking than before! It sports the company’s fast new Alpha 9 processor which is put to good use powering the newly added Google Assistant. LG’s technology is now pairing up with Google to give you an overall incredible experience. 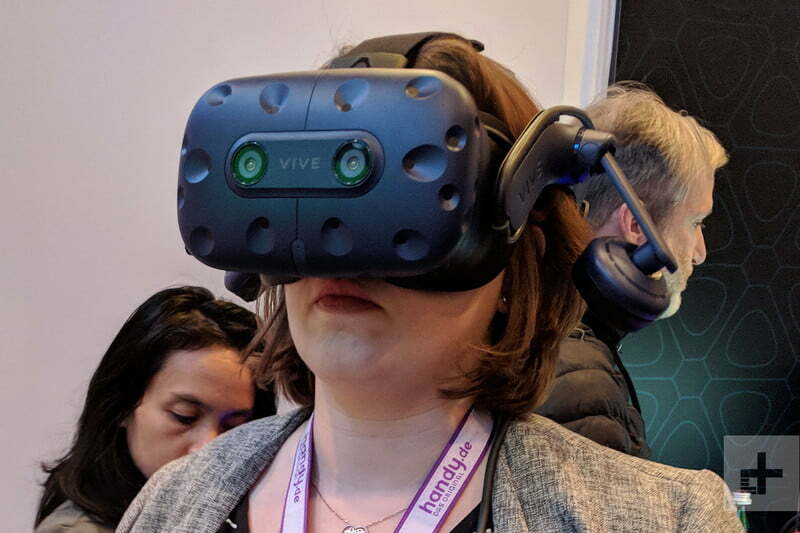 HTC is already a leader of PC VR world with the Vive, and its latest headset upgrades the original model in a few crucial ways. It adds integrated 3D audio, a more comfortable head strap, dual front-facing cameras, two mics, and better resolution. The Vive Pro is a welcome update! This is my personal favorite and I hope to see it in use soon. A cuddly toy isn’t typical for CES, but Aflac’s Special Duck is definitely welcome. Designed to support children diagnosed with cancer, it has features like a port-a-cath with an RFID chip for children to familiarize themselves with chemotherapy treatment, as well as emoji cards which allow the duck to express the child’s emotions for them. Aflac has plans to get the toy to all children diagnosed with cancer in the US, free of charge. This is a seriously cool gadget for sports! Prevent Biometrics mouthguard combines advanced sensors with connectivity that could improve and save the lives of athletes. When a sever collision is detected, medical staff on the sidelines are alerted immediately, offering the best chance of a proper response to injury. With long-running controversy concerning concussions in football and other competitive sports, this will definitely change the game. 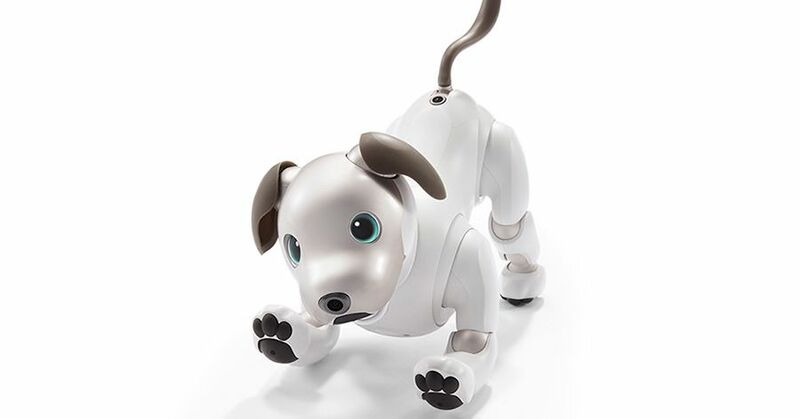 Sony’s robot dog is back! This time, AIBO is more intelligent, connected, and agile. As well as being a pettable companion, it has an onboard camera that allows it to act as a mobile webcam. Its OLED eyes are extremely expressive and its WiFi and LTE connectivity allow it to function on the move. Possibly the most popular consumer robot ever. This is a pretty cool vision of the future. Companies are looking for ways to bolt on smart-city equipment to existing infrastructure to cut down on costs. 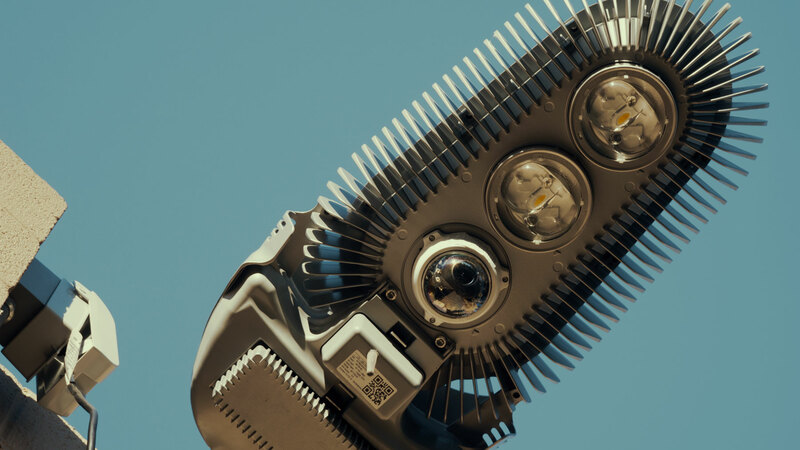 Wi-Fiber has built a lamppost head that contains security cameras, IoT and municipal WiFi equipment within its slender body. It even gives basic street lighting an upgrade, offering the ability to change color or flash to direct emergency services straight to where the crisis is. Although CES 2018 has come to an end, we got to see some really neat things for the future. Be sure to watch YouTube or look at blogs to see some more of the new technology displayed. When homeowners put their house on the market, the one thing that is usually at the front of their mind is money. Having a good Realtor is key to make sure your house is priced properly, which can be the difference between getting an offer quickly or having a house on the market for months without any interest. 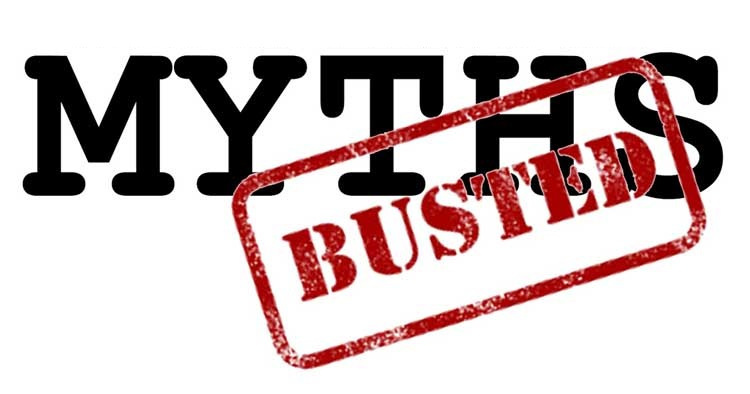 Here are some pricing myths we want you to avoid. When sellers receive an offer right out of the gate after the first showing, they may be reluctant to accept it. They may wonder if other buyers may be inclined to pay more. Sellers could be swept away in the ideas of bidding wars and cash falling from the sky, so they might want to wait and see who else comes along. But there’s no guarantee other would-be buyers are waiting around the corner, and definitely no promise they would offer more. If the offer is a fair one, entertain it and count your blessings! Similar to the previous point, when you get an offer right away, you may start to wonder if the house is priced too low. Did our agent do their job? Should we have asked for more money? It is natural to be a little skeptical, but receiving an offer on the early end of the spectrum most likely means your home was actually priced accurately and attractively. Your Realtor is knowledgeable and didn’t just pick a number out of the sky. Extensive research goes into figuring out what a fair market value is. Instead, be glad your sale is moving in the right direction. We all would love to get top dollar for our homes. However, overpricing it with the intention of being willing to accept a lower offer may just leave you empty handed in the long run. When buyers see that you drop your asking price multiple times, they may begin to wonder what is wrong with the place. This doesn’t instill confidence in buyers and they may look elsewhere. Renovations and home improvements are common, especially when you intend to sell and get a return on your investment. Sellers may adore all the improvements they’ve made and want to add in those costs to the asking price. But remember, not every change is going to land a huge return on investment. Do your research and see what upgrades yield the biggest bang for your buck. Adding a huge entertainment system or a spa in the backyard may be an asset to you, but just a liability to a buyer. No seller is eager to drop the listing price. However, if time is passing and there’s been little interest, it could be time to consider lowering the ask. Time is money. While you’re waiting for someone to meet your price, you’re still paying the mortgage, taxes, utilities, insurance, HOA, etc. Also, lowering the price can put your home in front of an entirely new group of buyers which could generate a lot more interest and, ultimately, get the price back up closer to where it was in the first place. Surveys show that many homeowners and homebuyers are not aware of the incredible value a REALTOR® provides during a real estate transaction. Here is a list of just some of the services they provide to have a successful experience. Sometimes these can take hours or even days to complete, including weekends. But more importantly, they reflect the skill level, knowledge, and attention to detail required by today’s real estate market. The importance of having help and guidance from someone who truly understands the process cannot be underrated. There are so many steps to take before even listing a home. They do a lot of research including all comparable currently listed properties, check sales activity for the past 18 months from MLS and public records databases, property’s ownership and deed type, verify legal description, and zoning. They look up “Average Days on Market” for your property type, price range, and location. 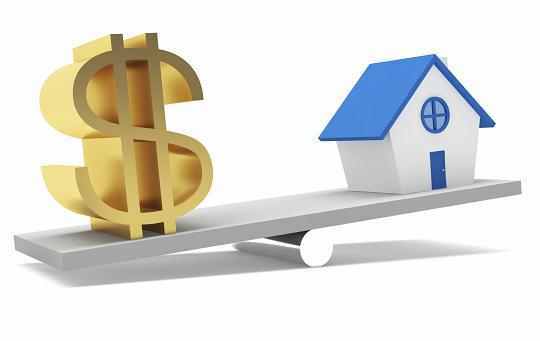 They will prepare a “Comparable Market Analysis” to establish fair market value to help you figure out where to price your home. They will confirm public schools and neighborhood assessment and of course, prepare a presentation for you. During this appointment, they will explain to you all their research and what they know about your home. They will offer pricing strategy based on professional judgment and interpretation of current market conditions. They will explain the work the brokerage and agent will do “behind the scenes”, such as screening for qualified buyers to protect seller from curiosity seekers and making a strategic marketing plan. They will double check everything on the house, from square footage to average utility usage, to HOA fees and checking for lead based paint. Everything is checked and double checked so there can be a great and honest listing for your home. They will go over curb appeal and interior decor with you and provide suggestions to improve salability and shorten time on the market. This is where the agent will list your home for all realtors and brokers to see. The agent is responsible for quality control and accuracy of all the listing data. At this time they will come and take photos of your home to add to the database and discuss with you the best angles, lighting, etc. to help your property look spacious and inviting. 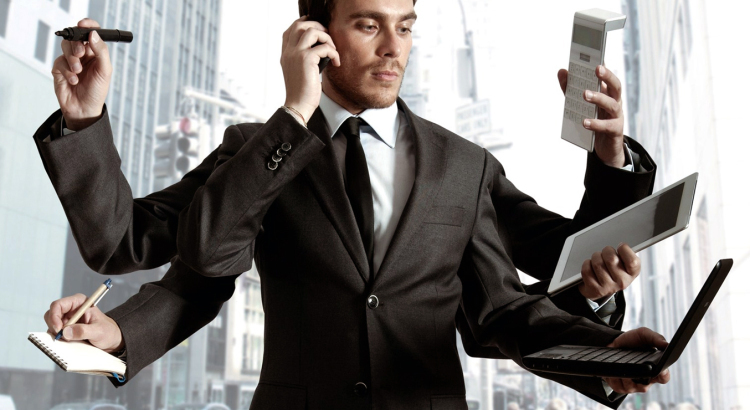 Your REALTOR® will go over the marketing plan with you and each agent differs in what they do. They will create print and internet ads, market on multiple internet sites, send out emails, etc. They will keep checking the MLS for comparable homes to make sure the pricing is competitive and fair. They will coordinate showings with owners, tenants, and other realtors, including weekends. They will place regular update calls to the seller to discuss marketing and pricing. This is where you definitely want a REALTOR® on your side. They are trained to negotiate for you and make sure you are getting the best deal for your home. 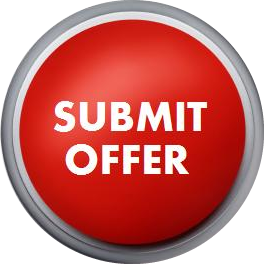 They will evaluate the offer(s) and compare them, then counsel the seller on these offers. They will contact the buyers’ agent for you to review the buyer’s qualification and discuss the offer. They will confirm the buyer is pre-qualified by a loan officer and negotiate on the seller’s behalf, setting time limits for loan approval and closing dates. Then they prepare and convey any counteroffers, acceptance, or amendments to the buyer’s agent. They will handle all the paperwork, including contracts and checking all inspections have been done. To ease your mind, your REALTOR® will be tracking the loan process. They will confirm verifications of deposit and buyer’s employment have been returned, make sure it goes to the underwriter, contact the lender weekly to ensure processing is on track, and relay final approval of the loan application to the seller. The real estate agent will make sure all home inspection requirements are done and negotiate payment and oversee completion of all require repairs if needed. They will schedule the appraisal and assist the seller if the report seems too low. Closing is where you don’t want to have an hiccups and your REALTOR® knows the ins and outs, what to expect and how to avoid speed bumps. They will work with the buyer’s agent to schedule a walk-through, where the closing will be held, ensure all parties have all forms and information to close the sale, review all the final paperwork including closing figures, closing documents, Home Owners Warrenty, etc. They then change MLS status to sold and close out the listing. Even after closing, their job is not done. They will be ready to answer any questions and clarify and resolve any conflicts if anything does arise. They keep working until everyone involved is happy, satisfied, and in their new home. Equity is on the Rise! Great news coming in to the new year! According to CoreLogic’s latest Equity Report revealed that “over the past 12 months, 712,000 borrowers moved into positive equity.” Wow!! The trend should continue into the next year which is great news especially those looking to buy right now. The share of homeowners with negative equity (those who owe more than their home is worth), has dropped more than 20% since 2009. Compared to 2016, negative equity decreased 22% from 3.2 million homes, or 6.3% of all mortgaged properties. U.S. homeowners with mortgages have seen their equity increase by a total of $870.6 billion since 2016, an increase of 11.8% year-over-year. This is the largest increase in more than three years which is very exciting for the housing market. The increase is a reflection of rising home prices, which drives up home values, leading to an increase in home equity positions and supporting consumer spending. Of the 95.1% of homeowners with positive equity in the U.S., 82.9% have significant equity, which means they could use the equity in their current home to purchase a new home right now! If you notice on the map, 75.6% of Nevada homeowners have enough significant equity to purchase a new home. This is great news for Las Vegas homeowners, especially if you’re ready to move to something newer or even something smaller. Another way to use the equity in your home is to do home improvements. Make sure you use it to do upgrades that will add to the resale value of your home. Maybe new paint or flooring, versus a large entertainment system or swimming pool. If you want to get a home equity loanhome equity loan, now would be the time. Interest rates are predicted to rise this year. Curb Appeal: Increase Your Property Value! Home improvement is known to increase the resale value of a home significantly. However, many people don’t know how to enhance the value of their homes. They may think it’s too pricey, or will take too long. We are here to tell you it’s easy to bring your value up simply by working on your curb appeal! Exterior improvements are not only simple, but they take usually very little time and effort. The outside of your home is the first thing the buyer sees and making it look a little more pristine will do wonders! When you look at a house, the front door stands out as the focal point. Take the time to dress it up a big. Polish and clean the door fixtures. Paint or refinish the door, maybe even changing it to a more appealing color. Blue or red doors are becoming increasingly popular and really stand out especially against a white background. Add or prune flowers around the front steps. The key is making sure everything looks neat and fresh. It’s a know fact that light scares away home invaders so adding more light can make perspective buyers feel more safe. Buyers (as we all do) prefer a secure environment so they can enjoy their home no matter what time of day. There are so many types of outdoor lighting that you can really add as much or as little as you like, fit your budget, and install it easily on your own. You can add accent lighting to the walking path or floodlights that illuminate the entire house. Add a solar panel as well to make lighting more energy-efficient. If you don’t already have one, adding a paved driveway is one investment you won’t regret. 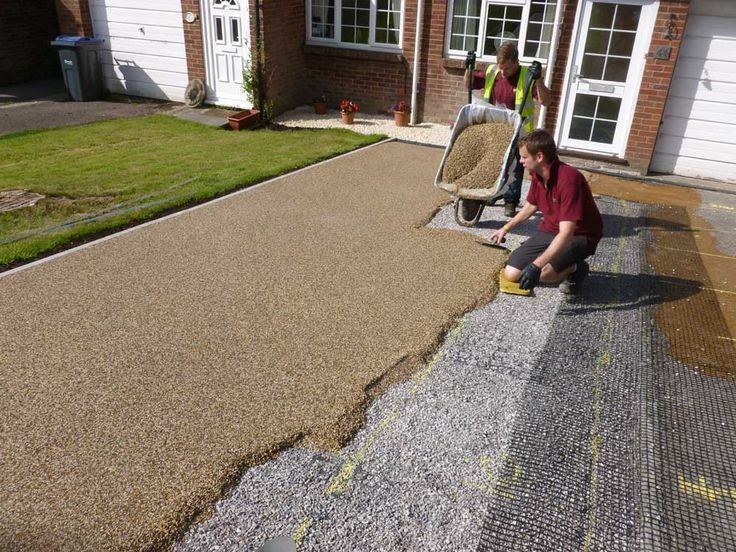 Buyers prefer a driveway because it provides a clean connection from the house to the road without disturbing the surrounding landscape or damaging their vehicle. Plus it is a great place for buyers with young children to play basketball, scooter around, or draw with sidewalk chalk. If your home already has a driveway, make sure it is clean and neat. Power wash any stains off it and add flowers around the edge to make it visually appealing. There is nothing that will give your home a better face lift than a new paint job. A fresh coat of paint can do a lot, include increase the value of your home from 2 to 5 percent according to Consumer Reports. Not in your budget? Simply power washing the entire house will make it sparkle and stand out. 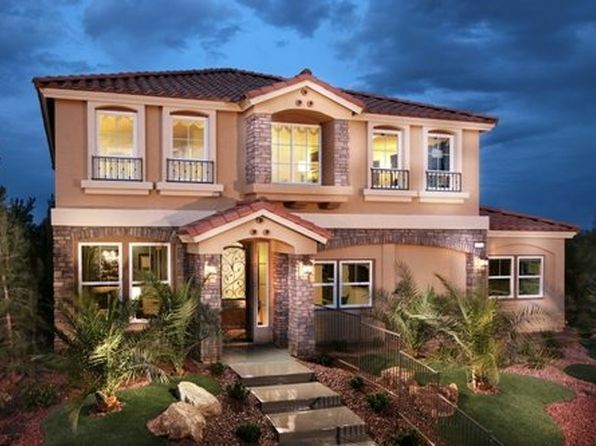 In Las Vegas, we have a lot of desert landscaping which consists of rocks and a few heat friendly plants. If this is what you have, take the time to trim up your existing plants and add some if you’d like. A pop of color with flowers never hurt anyone. If you have a traditional lawn, make sure it is green and full. Do you have bare spots? Add seed or even some sod for a temporary fix to make it look lush. Prune any overgrown hedges and remove and replace anything that is dead. Take a minute to stand out in front of your house and see what you think. How is the curb appeal? Do you notice any broken shutters or a hanging gutter? Does anything seem out of place or maybe could be more symmetrical? These little improvements go a long way, especially for the resale value. Remember, you don’t have to hire a professional. These are easy fixes that take little time and make all the difference. 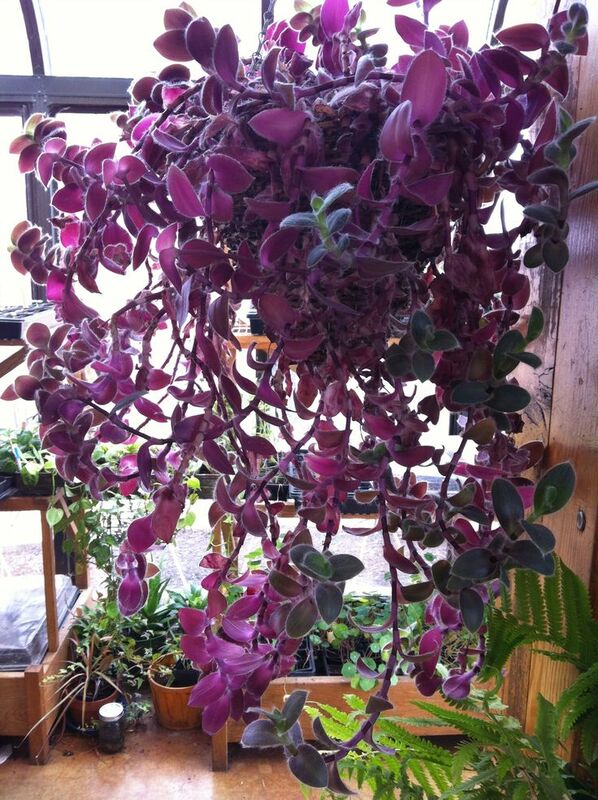 Houseplants, Are They Worth It? I personally have always loved having houseplants. My mother had the greenest thumb and kept beautiful foliage throughout our house growing up. As an adult, I have tried on numerous occasions to bring plants into my home and have always ended up, to my complete and utter disappointment, killing them. So I’ve decided to see what others think, if houseplants are really worth the effort. Do They Purify the Air? A 1989 NASA study attempted to find new ways to clean the air in space stations. What they found was pretty neat! But houseplants didn’t make the cut. Okay, that’s a little bit of a lie. Technically, yes, they can remove toxins. However, it can only remove trace toxins without NASA’s complicated system which blows air through the activated carbon in the plant’s root zone. As an EPA reviewer explained in 1992, “To achieve the same pollutant removal rate reached in the NASA chamber study, you would need 680 plants in a typical house.” Sounds like you’d be better off just vacuuming more often. How Do I Make Them Look Nice? Gone are the days of your plants looking like an afterthought. 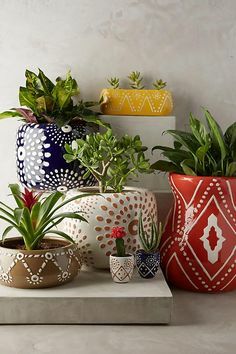 There are so many beautiful pots and planters available that can not only make your plant look beautiful but also add to the decor of your home. For traditional plants, stick to terra cotta pots. For succulents, try a brightly colored glazed ceramic planter. Or for those who prefer a tropical appeal, slip them into a woven basket or teak bowl. Also, don’t be afraid to liven them up with decoration. Add a ribbon or set a fairy statue inside the planter for additional appeal. They are of course plants, so the answer is yes. But there are things to prevent it! Dusting the leaves regularly give you a chance to inspect for tiny pests like spider mites or mealybugs. They’re easy to remove by dusting the plants leaves with a damp rag, undersides and all. Keep the potting soil fresh. If it smells bad when you water it, it’s time to replace it. You can keep out bugs by making sure there isn’t any mold which can be caused by over watering. Only water plants when the top half inch of the potting mix is dry. Will They Really Make My House Look Any Better? Besides the chic pots, you can really have fun picking fun foliage. Plants don’t come in only dark green! I know, mind blown! Go to the nursery and pick out a plant that will make an impression. You can find blue ferns, hybrids of flowers in just about every color or pattern imaginable, and succulents that have different hues at different times of the year. The pop of color can draw the eye and add interesting details to any room. But I Always Kill Them! Don’t give up on that scraggly plant just yet! This seems like an obvious solution but a lot of people will just dump the plant as soon as it starts to yellow. First, look up the plant or problem online. Sometimes the solution is as easy as moving the plant to a brighter room or putting it in a pot that has drainage holes. Resist the urge to just dump fertilizer or an inordinate amount of water on it. Take a moment to figure out what’s wrong and that plant will perk right up. Personally, I’m ready to give plants another try. 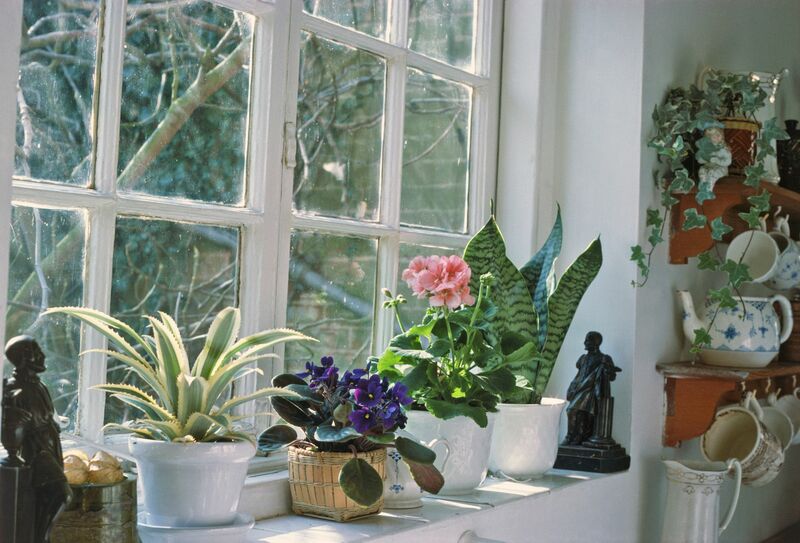 There are studies suggesting that living with plants improves your concentration, calmness, and productivity. But honestly, I think they just make us happy. When I have plants, I feel more connected to nature and enjoy walking around with my misting bottle, discovering new leaves or flower buds. They may make our homes more beautiful, but ultimately the joy they bring outweighs any reason I could give for or against them. Well the New Year has officially begun and resolutions and traditions are rolling out like crazy. One you may have heard of (it’s trending on Twitter!) is Dry January aka “Drynuary”. I have to admit, not being a heavy drinker, I hadn’t heard of Dry January. But it actually sounds like a pretty good idea! For those who, like myself, are unfamiliar with Dry January, it is where you give up alcohol for a month to detox and reset your body. It seems that after the holiday season parade of family dinners, house parties, big meals, and too many cocktails, a month long detox doesn’t sound like such a bad idea. According to Google Trends, “Dry January” and “Drynuary” searches have climbed every December since 2012. In Britain, the government’s Public Health England program has supported an annual campaign that “encourages drinkers to take a break and have a a Dry January.” There is even an app called Dry January, created by the British charity Alcohol Concern, that shows how much money and calories are saved by not drinking. While Dry January may be more of a goal for moderate to heavy drinkers, versus social or light drinkers, there’s obviously nothing wrong with abstaining from or limiting your alcohol intake. We all know that excessive drinking and binge drinking can lead to several negative health effects, including weight gain, high blood pressure, and high cholesterol. It also impairs your sleeping patterns and increases the risk of certain diseases such as breast cancer, heart disease, stroke, and liver problems. So while you’re taking a break, make sure to think about your relationship to alcohol and where you want it to be. So what health benefits can you expect after a month of not drinking? One of the main benefits could be a decrease in your overall calories since a standard drink typically has around 150 calories. If you’re focused on losing weight, cutting alcohol is one easy way to do it. Alcohol not only contributes calories, it also often amps up hunger which can lead you to make poor food choices. Ditching the alcohol can also help you feel more clear-headed and experience better sleep. If you’re committed to weight loss, the extra energy you get from a restful nights sleep will keep you motivated to get in your workouts and stick to overall healthy eating habits. Some of us have jobs where we frequently go to bars or clubs and there seems to be no way around it. Check out the menus – a lot more bars are putting an emphasis on house-made sodas and fresh juices, that contain no alcohol. Having fun while sober may be strange at first. But like anything, the more you practice sobriety the easier it gets. In fact, 2015 research from the University of Sussex showed that even people who don’t complete Dry January still drank fewer drinks and had fewer drunken episodes six months later. At the end of the month, learn from the experience and check your relationship with alcohol. You might have lost some weight, maybe saved some money, but it probably hasn’t done anything long term for your health. This is a great time to think about what is a realistic amount of alcohol for your lifestyle and how to fit it in in a way that feels balanced. Dry January overall seems to be a good idea. Taking a month long break from alcohol, even if it’s not in January, seems to be a good reset button for everyone. Lets make 2018 the greatest year it can be, whatever your goals are! The beginning of a New Year always sparks me in to goal setting and getting ready for all the wonderful things I hope to accomplish in the coming year. Buying a home could be on the forefront of your mind and may seem so far out of reach. Goal-setting for buying a home is a perfect way to get yourself in the right mindset and then gradually accomplish each of the goals, which can make you a home owner easily within a year! Get out a piece of paper, jump on your phone, or grab your laptop and make a definitive statement that encapsulates your end goal – to buy a house. Then break down that goal into steps, weekly or monthly, in order to achieve it. You should include a date that you want to buy the house by so you can be accountable. The simple act of writing your goals down make it easy to pull it out and motivate yourself. This is not the easiest thing to do but it is vital to buying a home. A few years ago you could get away with only 5% down payment, but now a 20% down payment is more common. Look over your bank statements for areas to cut back. Set aside monthly expenses you cannot change – rent or mortgage, car payment, etc. Then look at things that possibly can change. Do you really need all that data on your cell phone plan? Is cable necessary or can you make cuts? Look at car insurance and see if you can make changes to your coverage. Every little bit helps. We all have skills that maybe others don’t. Why not use that to bring in a few bucks? Are you fluent in a language or have exceptional writing skills? Why not offer tutoring services or do free lance writing? Some people go to garage sales on weekends, then update furniture or broken appliances. That extra cash can add up quickly. Not such a fan of cooking? Eating out is a quick fix but switching to cooking at home can save so much in your budget. If cooking really isn’t your thing, grab pre-made or easy-to-make meals to save time and money. Find quick recipes online or pull out your crock pot. Make it simple and it will be easier to stay home. If you’re still struggling to skip dining out, try to find a coupon or go on a night when the restaurant has a special such as kids eat free. These are pretty easy to find on Google and can greatly save on your bill. Obtain your credit report and scores. Review your report for any errors. Pay down your debt as much as you can, but keep your credit cards. A factor in your credit score is your used debt compared to available debt. If you close an account, you’ll decrease your available debt total. Lenders look at debt-to-income ratio so pay down what you can but be realistic. Raising your credit score a hundred or so points in six month is very achievable. Saving money and working towards your house does not mean you need to avoid all social situations and never leaving your house. But it is helpful to tell your friends and family about your plan so they can support you while you’re saving. Plan fun and free (or inexpensive) get togethers, and remind them how much fun it will be to have in your new home! These can be big changes and it is hard! Put your goals somewhere you can easily see them and remind yourself why you’re doing this. By staying positive, it really does make it that much easier. The power of positive thinking is real! And if you don’t believe it, fake it! 8. Eye on the prize! When you see people buying expensive cars or going on lavish vacations, you might want to say FORGET IT! But remember what you’re working towards! Owning a home will be the ultimate reward and definitely worth it. Then you can go on those vacations next year and park your new car in the driveway you own.